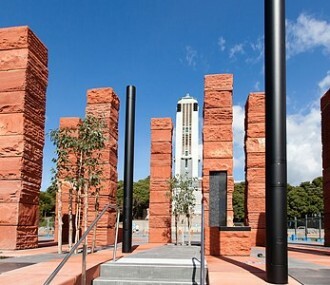 It comprises 15 columns, each 6 m tall and arranged in an open array on a surface of red sandstone and dark grey basalt. 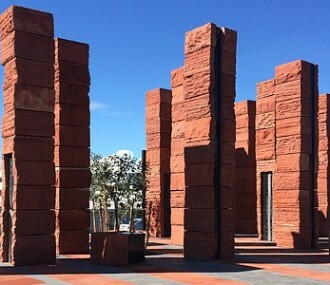 The Memorial’s dominant material – rugged red sandstone – is instantly recognisable as an image of Australia. The panel in the central column is inscribed with the word ‘Anzac’. 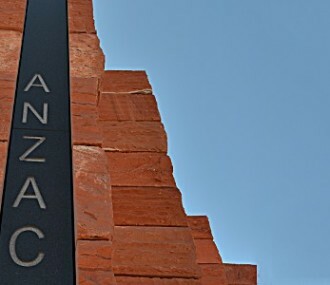 Seven more columns bear the names of the principal theatres and operations in which Australian and New Zealand forces served alongside one another. The remaining seven panels include the inscriptions of Maori and Aboriginal artworks representing a series of significant themes related to the memorial’s intent. The Maori artworks are a way of connecting the Australian memorial to the site, place and people of New Zealand. These are balanced by the Indigenous Australian works carrying cultural messages about rituals and artefacts. 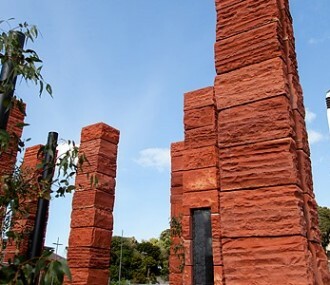 Each column stands on a band of the same red sandstone, extending the stance of the column outward into the landscape. Between these red bands are bands of grey stone, symbolising the New Zealand landscape: the interweaving is a perpetual reminder of the united destiny of the two nations. 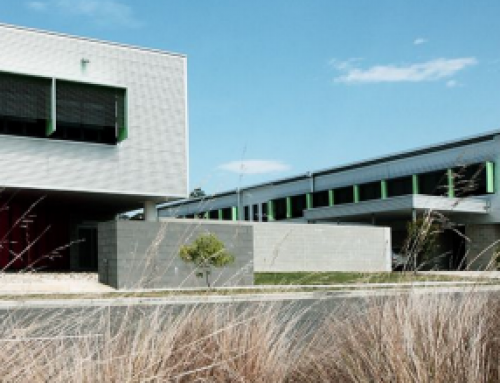 WT Partnership’s commission for the project began October 2012 when our Canberra team priced the four design competition entries. 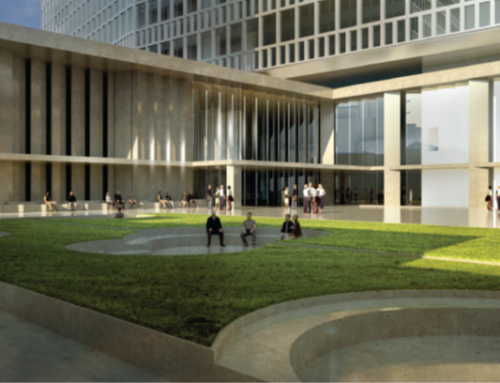 Tonkin Zulaikha Greer Architects were the chosen designers and with their supporting design team set about designing to Memorial. 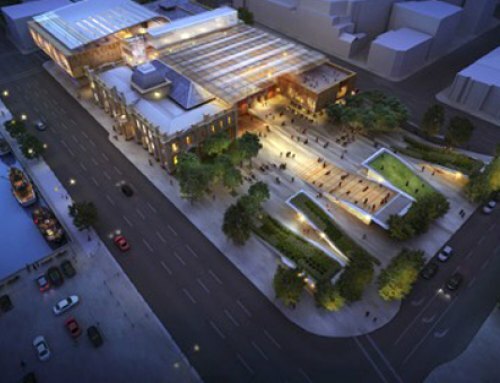 Throughout the period right up to construction, WT Partnership provided updated estimates to inform the Department of Veterans’ Affairs the position of the proposed works against their budget. Construction commenced on site in Wellington in October 2014, however the sourcing and selection of stone for the project began back in 2013. 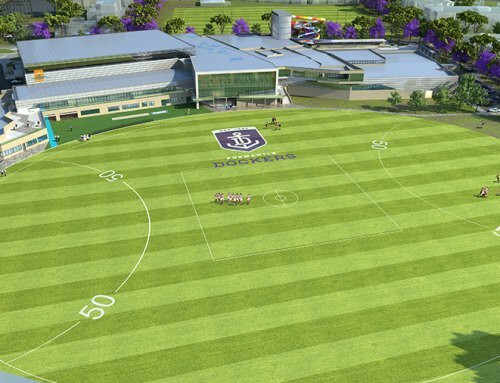 The key challenge for team was to deliver this project on or ahead of tight program to coincide with the 100 Year Anzac Day commemorations. The team successfully coordinated the works and managed delivery of materials and products being procured from all around the world. 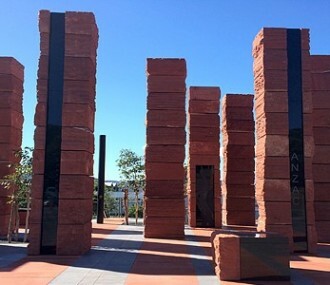 The stone work was processed in Canberra and transported to New Zealand by the RAAF, who were commissioned by the Department of Veterans’ Affairs to transport 60 tonnes of stone and granite to Wellington on board two Boeing C17 Globemaster aircraft. 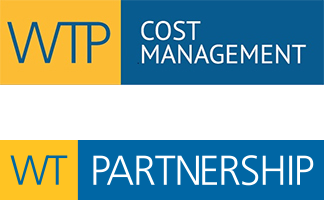 The post contract administration was a collaboration between the Wellington and Canberra offices of WT Partnership ensuring that the Department of Veterans’ Affairs were provided with a high quality service on both sides of the Tasman Sea.